Talking Pictures, Freedman/Muller/Reed/Van der Schyff, Merge Ensemble, Unity, The Nikki Carter Trio, The NOW Ensemble, MuseArt, Sandbox, Paul Plimley Trio, The Sawdust Collectors Ensemble and The NOW Improv Workshop Group. Originally recorded by Muhal Richard Abrams with Anthony Davis, Douglas Ewart, Leroy Jenkins, George Lewis, Roscoe Mitchell and Abdul Wadud in 1978, Shadowgraph 5 was composed in 1977, the same year the NOW Society began. 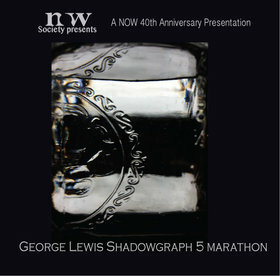 American composer George Lewis and his composition have a long history with NOW, with the piece being recorded in 1999 by the George Lewis & The Now Orchestra and later released as George Lewis and the NOW Orchestra: The Shadowgraph Series by spool records. NOW members get $5 off tickets. The evening will be a potluck community event. The NOW Society is dedicated to sharing improvised music with their community through the presentation of free improvisation workshops (since 1978) for adults, musicians and youth. As part of the Shadowgraph 5 project, NOW will present a three-week improvisation workshop series at Merge Vancouver on April 1, 8 and 15 from 2-4 pm, preparing participants to take part in the performance on April 29. The free workshops will be open to musicians of all levels of ability. To register for the workshops please email jyounger@hotmail.com (registration is limited to 15 participants). Merge is located at the NE corner of Clark Drive and Powell Street.